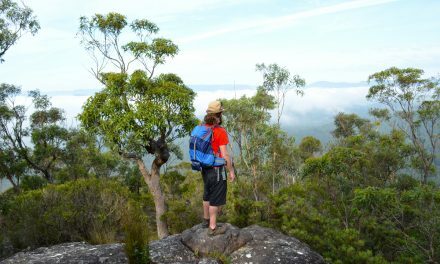 The Gorge Heritage Walk provides an easy introduction to the Mount Buffalo Gorge, suitable for most ages and abilities. At only 2.5 kilometres, it’s amazing how much is packed into this short trail. 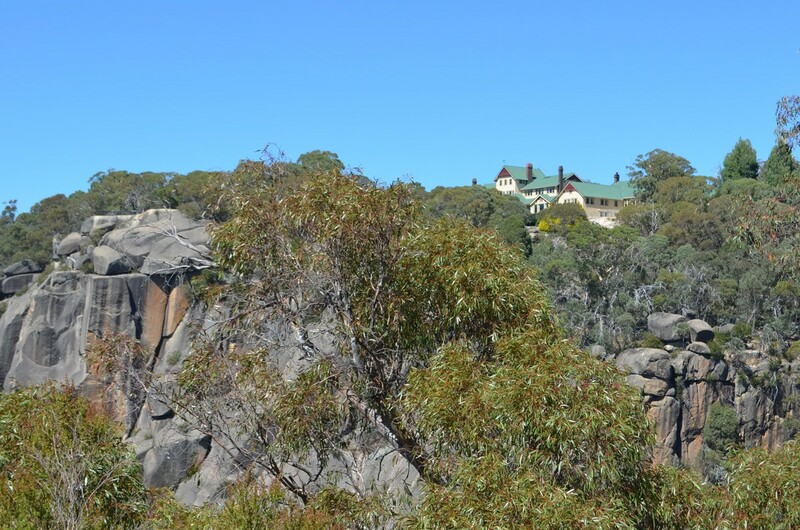 Spectacular lookouts provide views over the sheer rock walls of the gorge and out to the surrounding countryside, not to mention the beautiful Crystal Brook Falls. 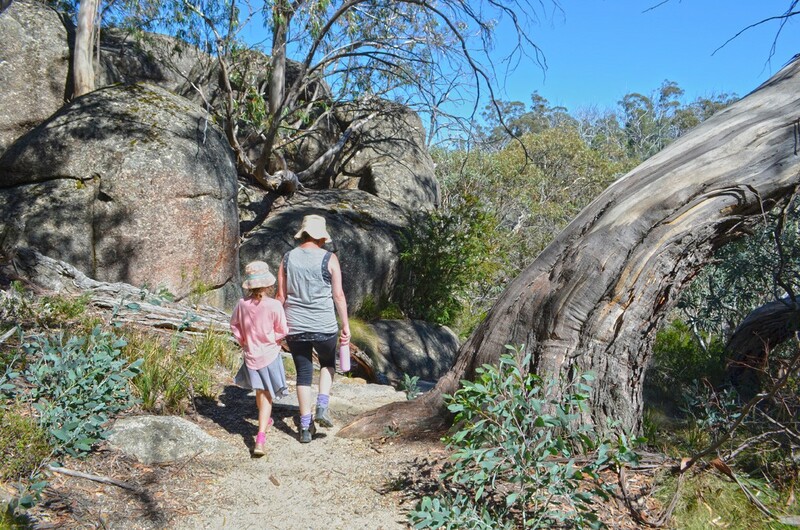 As spectacular as those views are, the massive granite tors, Alpine Ash and twisted Snow Gums you’ll weave your way through are just as impressive. Interpretive signs along the trail explain the surroundings through the eyes of the famous Guide Alice, who was the first tour guide at Mount Buffalo. 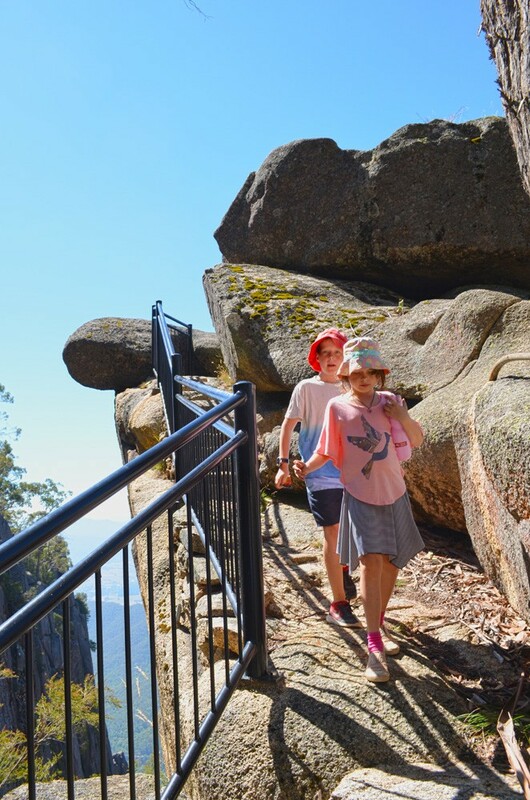 She was known for her passion and knowledge of the area and her early 1900s tours at Mount Buffalo visited most of the same spots that this trail now takes in. Our kids had lots of fun scrambling over the giant boulders, staring in awe at the breathtaking views, and looking out for climbers dangling from the gorge’s rock walls and hang-gliders leaping from the clifftops. 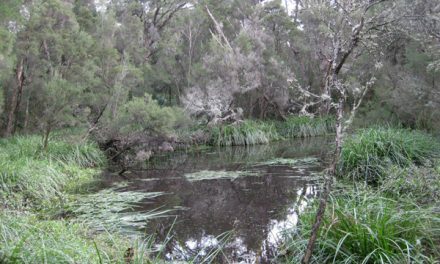 The area is quite busy especially on weekends during the warmer months and, of course, during school holidays, so don’t expect too much in the way of wildlife on this trail. Do keep your eyes peeled for snakes, though. Grade: Easy / Grade 3 (according to the Australian Walking Track Grading System). Park: Mount Buffalo National Park. 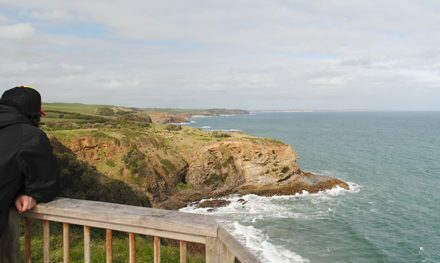 Closest Town: Bright (36 km). Path Taken: The trailhead is directly across from the front door of Mount Buffalo Chalet, near the entrance to the carpark. It’s clearly signed as “Gorge Heritage Walk” and there are no confusing sections, so just follow the signs. Car Access: From Bright, head north-west on the Great Alpine Road for about 8.5 km to the roundabout, taking the second exit onto Mount Buffalo Road (clearly signed). After a further 25 km, turn left to follow the signs to Mount Buffalo Chalet. 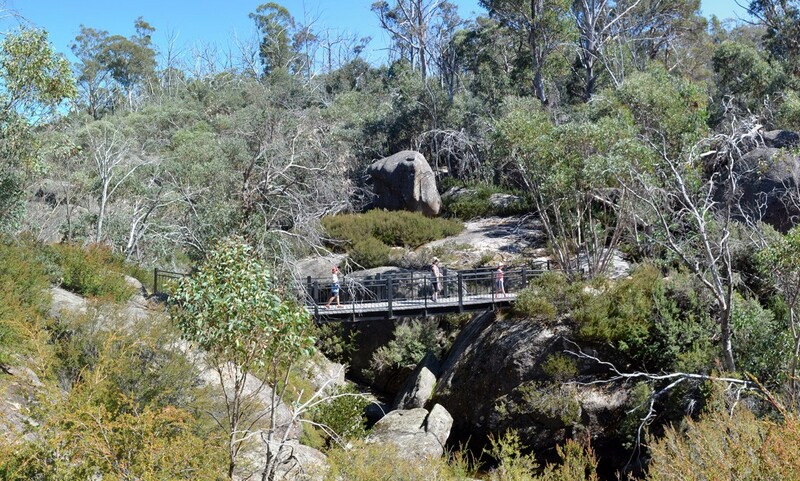 Map: No map is necessary but the walk is covered in the Parks Victoria Mount Buffalo National Park Visitor’s Guide. Have you visited Mount Buffalo National Park? 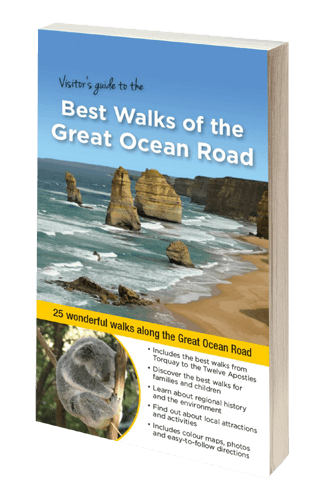 Got any suggestions for better bushwalks of similar length? Or any favourite longer walks? If you have any stories, updates or corrections, please let us know by commenting below.